Android O's third developer preview has just landed, and we're already spotting some pretty cool changes. 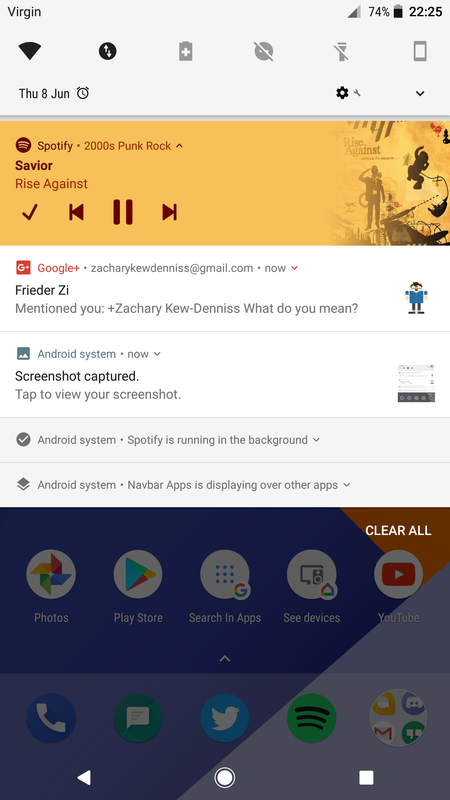 Among the first we spotted is color-coding for rich media notifications, meaning that these notifications will be themed based on album art / video thumbnails. 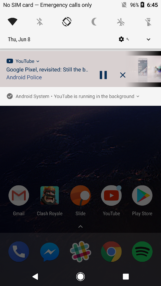 It appears that Google is using pastel/muted colors (I'm not an artist, so excuse me if this isn't the correct terminology) to produce these notifications. 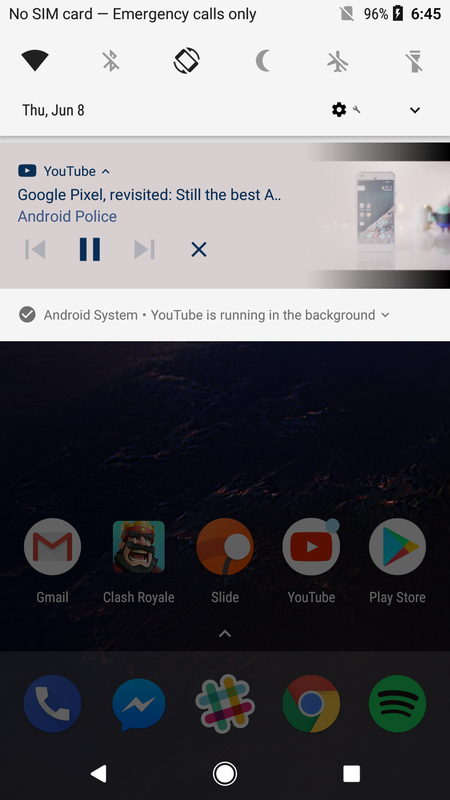 This is probably to ensure that while the notifications are easier on the eyes, less boring, and more immediately identifiable, they're still not overly shouty. 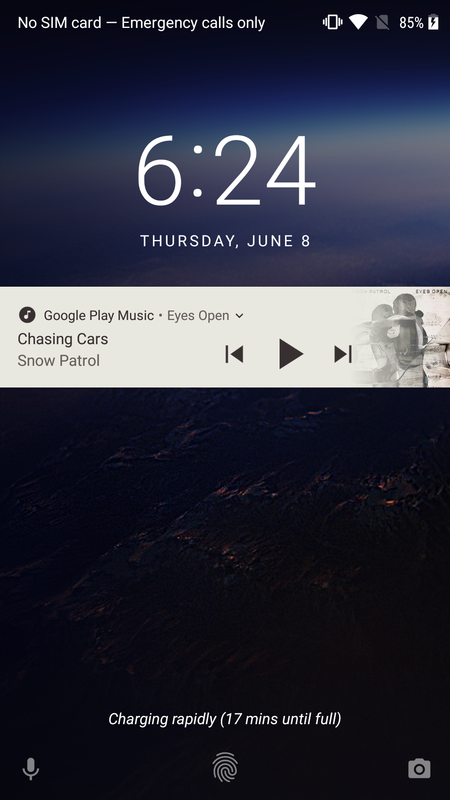 Smart move, Google. 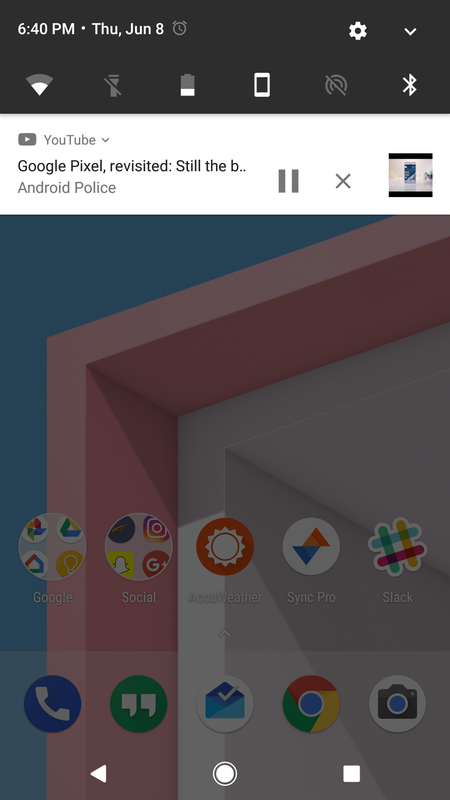 left: 7.1.1 Nougat. 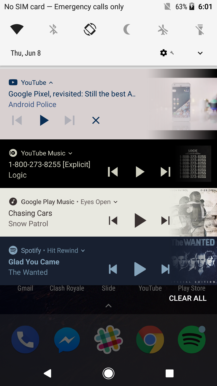 right: 8.0 O DP3. 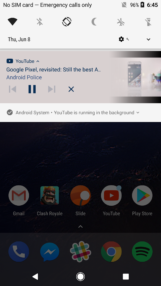 In addition to this color-coding, the thumbnail now fades into the notification. 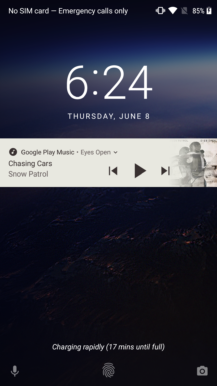 This was done not only for a minor visual effect, but it also allows the album art / thumbnail to get noticeably larger while still leaving a decent amount of space for the title and author of the work. For apps that contain thumbnails that are wide-screen (namely YouTube), you'll unfortunately get some black bars on the top and bottom, but that's an issue that was already present prior to DP3. 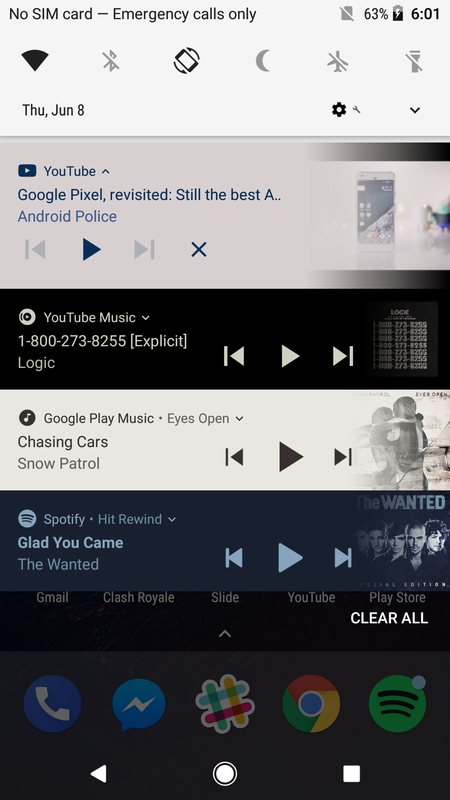 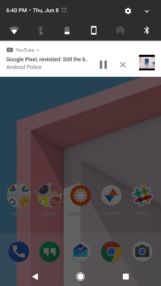 You'll see these pretty notifications from music apps such as Google Play Music, Spotify, and YouTube Music, as well as apps that allow videos to be played in the background like YouTube Red and Chrome. 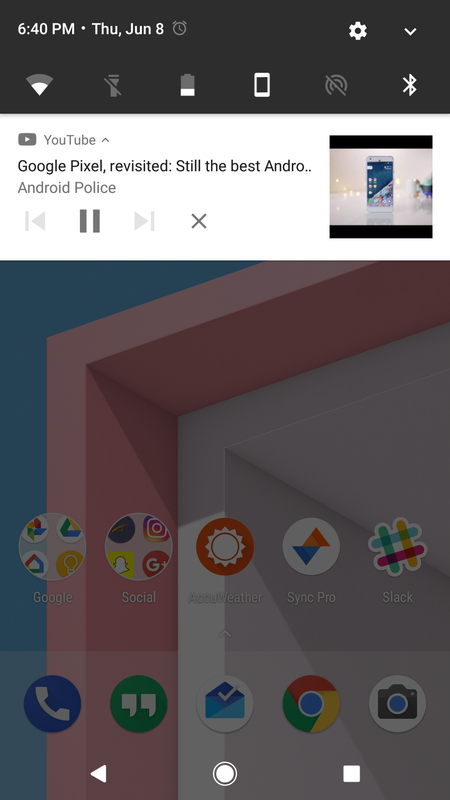 It's definitely a sweet addition, and I'm glad Google is continuing to add little tweaks even in the second-to-last O developer preview.